As a leader, you have to think of yourself in a professional manner. It doesn’t matter what type of early learning program you work in or operate: a child-care facility, preschool, family child care home, faith-based, or publicly funded program. It is essential that you strive to create a professional atmosphere within your setting. The environment you create impacts teacher-child interactions, how engaged the families will be, and how the overall program operates. This course will help guide you in your mission to create a successful, high-quality program to support fellow educators, children, and their families. Identify yourself as an early childhood professional and understand the importance of collaboration and how to create a team approach to working with children. The concept of reflective practices will be explored and used throughout the course. Create a positive work environment and discuss ideas such as employee benefits, staffing patterns, and finding and retaining quality teachers and caregivers. 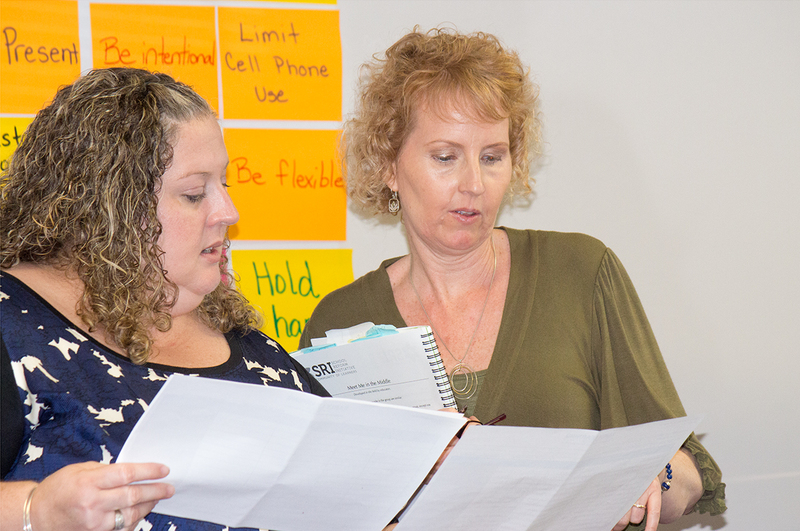 Examine how the assessment cycle applies to teachers working with young children and leaders working with teachers and caregivers in their program. Understand the connection between teacher-child interactions, child assessments, and professional development opportunities. Learn about financial planning through the understanding of budgeting basics by considering quality standards, marketing strategies, creating a business plan, and exploring innovative ways to work with other programs. Connect with, and effectively engage, the families in your program. Recognize the importance of partnering with families through home visits and the need to create an environment where they feel respected, included, and free to share their ideas. Learn to organize and establish systems to manage the many program policies and regulations related to operating an early learning program.